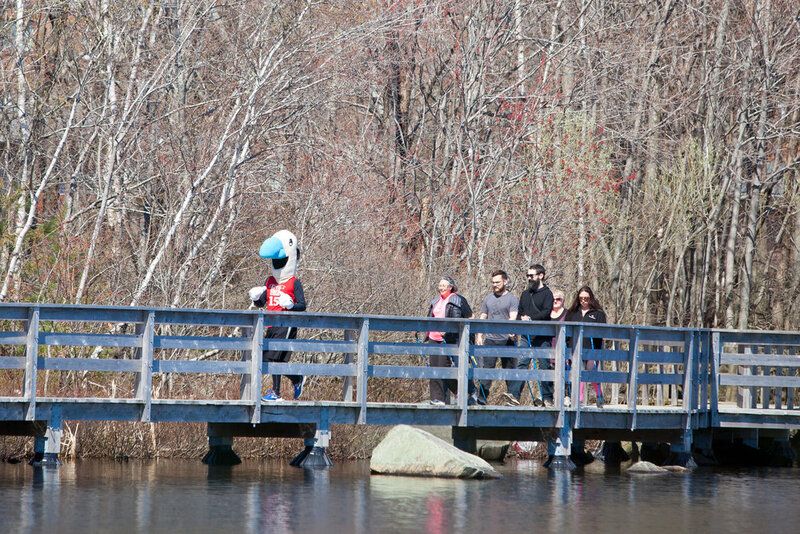 The Dartmouth North Community Food Centre’s walking group has walked more than a million steps in the last year and is counting down the days to one of its biggest walks yet: the Lifemark 5KM at the Blue Nose Marathon. “Every Tuesday morning, members are out there, rain or shine, walking to improve their health,” says Caralee McDaniel, coordinator of the group. The walking group began as an opportunity for community members to get some physical activity that is accessible to everyone. Members participate at no cost and the group has grown to include more than 15 members with a wide-range of abilities. After an hour-long walk, the group reconvenes at the food centre to hear from guest speakers on health-related topics and to share a healthy meal together. 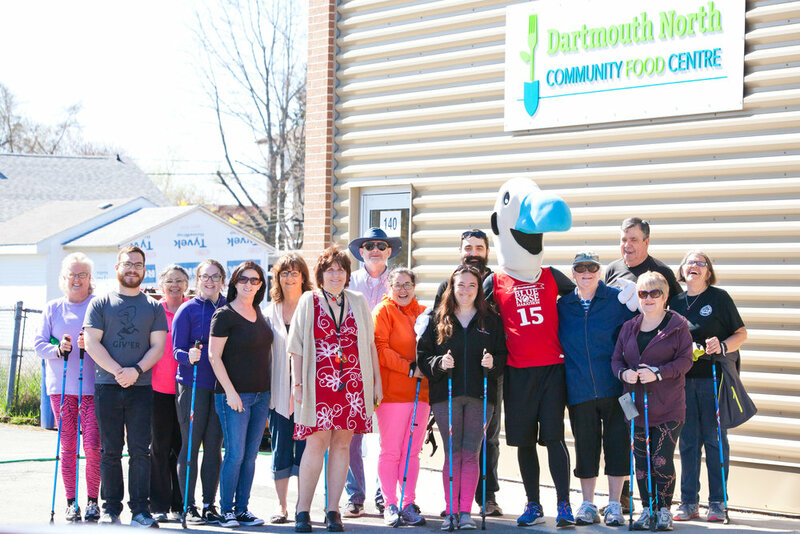 “Creating a space where the community can come together to connect and build relationships is as important as the physical health aspect of the walking group,” says Roxanne Manning, Executive Director of the Dartmouth Family Centre/Dartmouth North Community Food Centre. And the walking group’s sense of community just keeps on growing. 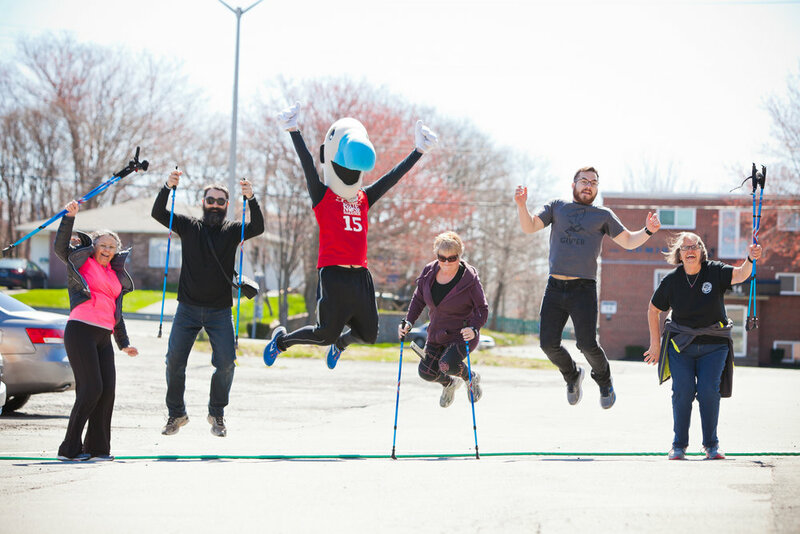 Last year, two members joined the centre’s first Scotiabank Charity Challenge team, the Good Food Crusaders. This year, that number has grown to 10. The Dartmouth North Walking Club has also attracted the attention of funders, who see the benefits of regular exercise on mental and physical health, particularly among those with chronic health issues. 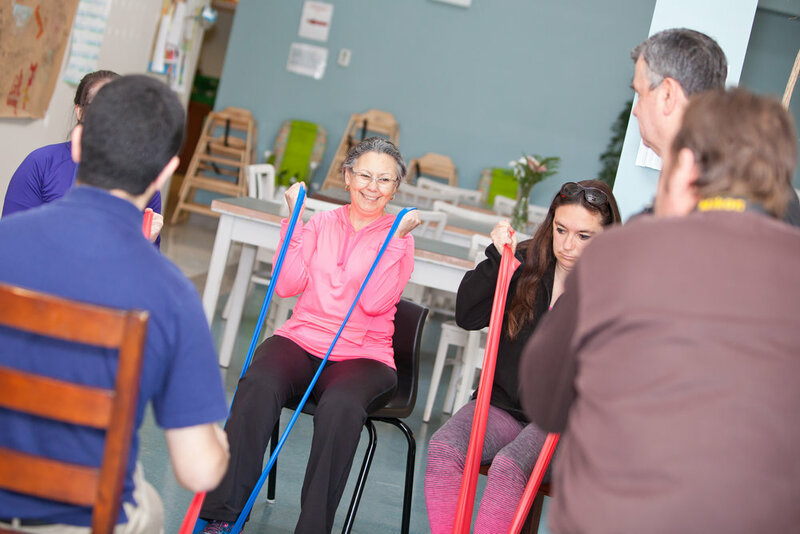 The Dartmouth Community Health Board provided at $1,500 grant to purchase walking poles and the Nova Scotia Health Authority’s Chronic Disease Innovation Fund recently contributed $10,000 to support the delivery and evaluation of the club’s weekly programming.